Then or now, it’s not going to be easy. I deeply respect TV writers. What a herculean task it must be to maintain an audience’s interest over the course of several hundred episodes. If I get deeply invested in a group of characters and am taken for a ride, the sting can last for decades. I can’t tell you the catharsis I had watching The People vs. George Lucas, wherein the pain of the Star Wars prequels is both ruthlessly examined and simultaneously purged. In the case of Luke Skywalker and company, it only took 3 “episodes” to hook me, and another 3 to crush me. Never again will I give my love so easily. Star Wars is a movie, but the last 2 times I’ve gotten sucked deep into the bowels of a TV show I have regretted it. First there was Arrested Development, which I really liked, but then it was abruptly cancelled. I wanted more but was given less. Then there was Lost. Oh, the hours lost—to that stupid show! I wanted less but they kept giving me more. And more. And more. The show in question is Discovery’s Gold Rush, which follows three teams of gold miners chasing their dreams in Alaska and the nearby Klondike region (Canada). Many are down on their luck, feeling the pain of joblessness in the wake of the recent economic downturn, and in response they gear up and head north. What transpires over the first 3 seasons of the show is a fascinating mix of derring-do, rookie mistakes, and hard-earned lessons. A reality TV show lies somewhere between a work of fiction and an objective chronicle. Given its foundation, this piece will be tethered closer to reality than something like “10 Troubleshooting Lessons From The Hobbit” (I still want to write that one!). It’s also far from a double-blind peer-reviewed scientific study. However, what is presented in the show did actually happen, so that’s what this piece is based on. Gold Rush has situations and themes that seasoned troubleshooters and entrepreneurs will instantly recognize. For me, the struggles of the Hoffmans, the Hurts, and the Schnabels triggered so many moments of recognition that I just had to share them with you. In the first season, there was a lot of intuition, blind faith, and trial-and-error used to decide where to dig. Eventually, the miners come to regret that this critical aspect of their plans was left to chance. There may be gold in Alaska and the Klondike, but where exactly? All three teams of miners are taken in, to some degree, by stories of “thar’s gold in them thar hills.” On several occasions, digging where there isn’t gold leads to massive losses. Parker Schnabel literally moves a mountain (the top of a small one), at great expense, only to discover there is no gold underneath. A great moment occurs at the beginning of Season 2 that brings to mind the old saying “fool me once, shame on you; fool me twice, shame on me.” As Todd Hoffman’s crew returns to try again at a new claim in the Klondike, they make a simple demand: before we start work, prove to us that there is gold in the ground. I’ve previously discussed troubleshooting in teams (see “Team Spirit”) and noted that one of the benefits is a more focused approach (i.e., fewer wild goose chases). Someone on the team will have a lower threshold for wasting time and demand a reassessment. This moment from Gold Rush is a great example of that principle in action. To get some advice on where to dig, team leader Todd Hoffman visits legendary miner Tony Beets (Season 2, “Drill or Die”). If this were a movie, you’d say the casting in this show was brilliant: except that these are real people! I’ve been told that Alaska attracts some real characters, and Beets is among the best: he has a weathered face, big beard, and no time for pleasantries. Hoffman asks Beets what to do, and Beets says “drill.” Todd summarizes the advice: “Don’t even touch the ground before you drill it.” Later on, Parker Schnabel also gets a visit from Beets (Season 3, “Up Smith Creek”), and he elaborates further: “Drill holes. Drill holes. Drill holes.” Are you getting the gist? That’s right, you don’t have to guess where the gold is hiding. You can drill test holes and know for sure. Hoffman takes Beets’ advice and it pays off handsomely. After drilling test holes, he realizes that his Klondike claim is sitting on top of millions of dollars worth of gold. Also, this is a huge motivation for the Hoffman team: all they have to do is efficiently get it out of the ground. No longer are they flailing about based on someone’s “gut feel,” but instead have something very tangible to work towards. In “Where Do I Begin?,” I have a section titled “Start By Realizing That You Are Not A Beautiful Or Unique Snowflake.” The idea is to be on the lookout for problems that have already been solved: benefit from others who have gone before and paid dearly for their knowledge. Google it. Don’t reinvent the wheel! The mining process is a perfect example of a chained system (see “Follow The Chain”). The steps are sequential and the output from one stage is fed into the next: remove the overburden (worthless dirt that doesn’t contain gold) → extract the gold-rich dirt → move the dirt to the wash plant → run the dirt through the wash plant → separate the gold from the wash plant runoff. Each of these steps has a particular piece of equipment associated with it: bulldozer → excavator → dump truck/loader → wash plant → gold table/pans. I mentioned that the mining operations in Gold Rush are lean: there’s not a lot of spare capacity in either machines or people. Most of the mining teams have just a single piece of equipment to accomplish each of these steps above (until the 3rd season, when the Hoffmans decide to “go big” and adequately equip their teams). That is: one bulldozer, one excavator, one loader, one wash plant, and one gold table. You may have heard the saying that “a chain is only as strong as its weakest link”: the meaning of this adage becomes abundantly clear when you see what happens when the only wash plant or the only excavator in one of these operations becomes inoperable. In one episode (Season 3, “Pink Slip”) the Hurts lose 2 links in their mining process chain: the excavator and the loader. “Dakota” Fred exclaims: “This is one of our key machines. Absolutely it is. Without this machine we’re not running, that’s all there is to it.” The problem is, in a chained system with no spares, every link is key! I get that these operations are lean and perhaps the resources for redundancy just aren’t available. However, my impression was the miners were continually surprised that their operations were halted when one of these “single point of failure” malfunctioned. I’d bet that Tony Beets doesn’t let a broken anything slow down his operations. If work must continue, have a spare on hand or a Plan B. These are the kind of incremental improvements that take time and resources to implement. We’ve noted that the gold mining process is a long series of tasks, each of which must be executed correctly, from site selection to digging to processing the dirt. At the end of this chain is the most important part: extracting the gold from the medium in which it is diffused. Gold, in order to be sold, must be purified: no one wants to buy 1,000 tons of dirt with the promise that there is 10 oz. of gold inside. 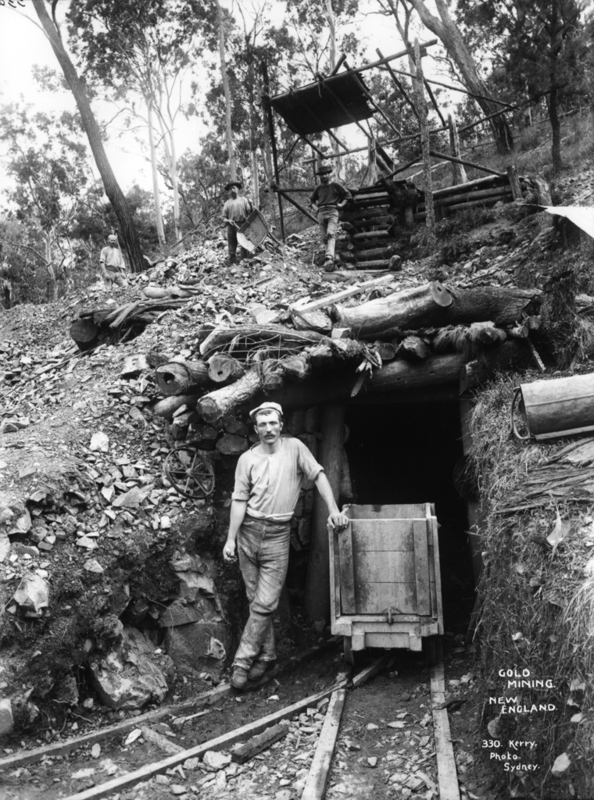 This final stage is where a miner actually unlocks the promise of being paid for his efforts. For the crews of Gold Rush, it’s also the cause of endless headaches. The purification process starts at the wash plant. Dirt passes through a series of stations, and gold of various sizes is extracted at various points along the way. That’s the theory anyway. The mistakes made at the wash plant are some of the most frustrating moments of the show. You’ve seen how hard these people have worked to get the dirt out of the ground, so it’s insane to think that a mistuned wash plant would wash the gold down the drain. Yet, that happens more than once! The modern wash plant shares much in common with this more primitive version. The Royal Flush: the Hoffman’s wash plant (nicknamed “Big Red”) is designed to run with dirt at all times. If pure water is put through the system for too long, gold can be washed away. Ruffled Riffles: the meshed grates at the end of the sluice box can easily become clogged. If sediment blocks the riffles, gold can’t accumulate in there. Where does it go instead? That’s right, down the drain. A Hole In Your Pocket: as the dirt travels between the various stages of the wash plant, it passes through multiple screens and conduits. Leaks or holes in the barriers can divert gold-rich material out of the plant before it has a chance to be separated. 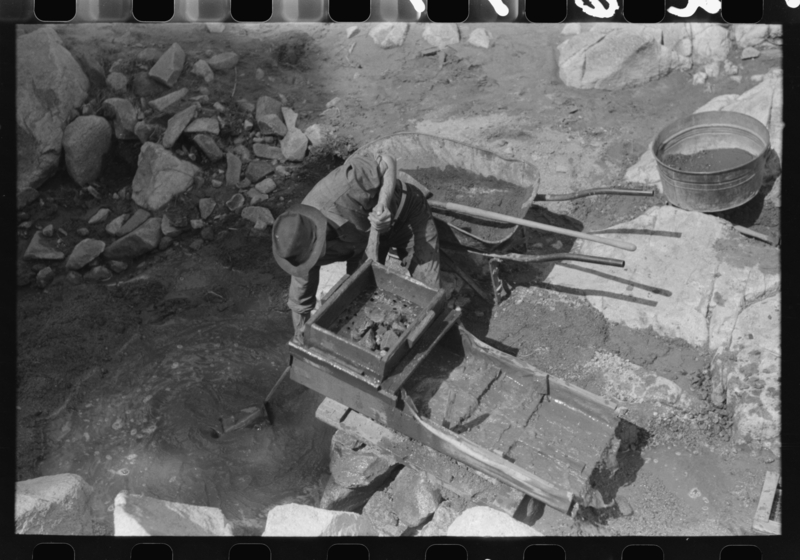 The Wrong Angle: if the sluice boxes are set too steeply, the gold will wash right over the riffles. Set too shallow, the riffles will become clogged with dirt, preventing the gold from being caught. These problems cry out for the use of a checklist, coupled with regular inspections (see “Making A List, Checking It Off” for more on the benefits of using checklists). Watching the show, it’s clear that gold mining can be very expensive. By the time you add up the time, fuel, equipment, and the claim owner’s cut, the margin for breaking even can be very narrow. The dirt being extracted can vary widely in its gold content. When you finally hit that rich pay streak, it might come down to just a few days of running dirt that make or break your whole season. If the wash plant is set up wrong during that crucial time, it’s Game Over. It’s for these reasons that I immediately thought of the checklist as a solution. Like flying an airplane or performing brain surgery, the operations at the wash plant need to be done the right way all the time. Nearly every episode of Gold Rush features a malfunction that brings operations to a temporary halt. I think most people who never lift a wrench will be truly impressed by the resourcefulness on display: these people are confronted with machine failures on a constant basis. While their everyday life is filled with fixes, big and small, there are two epic repairs that caused me to get off the futon and give a standing ovation. The first is by Mitch Blaschke, the Hoffman team’s mechanic in Season 3. In an episode called “The Merger,” the hydraulic pump that runs the wash plant’s feed conveyor at Quartz Creek fails. When the wash plant is down, no gold is being produced. The replacement pump will take up to 3 weeks to arrive, so the situation is dire. Blaschke grabs the Hitachi EX400 excavator, scheming that he will use its hydraulic system to power the wash plant. A bold idea. He likens the plan to a “blood transfusion.” Can the two systems even be hooked together? Will the fittings be compatible? Another wrinkle: the EX400’s hydraulic system is much more powerful than the one it will replace, capable of producing 3,200 lbs./in. of pressure. The feed conveyor system only requires 2,000 lbs./in. : if not tuned properly, this power mismatch could easily blow the seals and cause major damage. Blaschke plows ahead anyway and, after some fiddling, the belt on the conveyor whirs to life! Fellow miner Greg Remsburg notes that this is “the best piece of hillbilly engineering you might ever see.” Agreed. The troubleshooting lesson is to mentally separate a machine from the purpose it serves. Doing so allows you to see other ways of meeting the need (see “Creativity”), which may include bypassing a broken system entirely. This conceptual decoupling also allowed the excavator to be seen in a new light: its component parts can be rearranged to satisfy a completely different mission. The shaft is the easiest to make and is cut from a heavy steel pipe. The idler-wheel mount, however, is a different story: it’s a precisely cast, U-shaped piece of steel that supports a 300-pound wheel. Watching Fred manufacture this part out of scrap metal was really inspiring. He shows you what you can accomplish with a bit of moxie and deep experience; it was a moment that really captures the spirit of what I write about. When Fred is done, the new part looks rough, but it fits nicely where the old mount sat. More importantly, it holds the idler-wheel in place. The team snaps the track into place and it’s back to work for the excavator! I too have learned the hard way about allowing temporary hacks to become de facto permanent fixes. It’s great when a clever solution gives your team the breathing room to continue working. Whenever you patch something à la Fred, give yourself a pat on the back, then immediately reach for the phone and order the parts for the long-term fix. The same day that Fred’s homemade parts in the excavator give way, the Hurt team is dealt another blow: their loader starts gushing transmission fluid (Season 3, “Pink Slip”). The fix is complicated and could take weeks to pull off, likewise for the proper repair needed to resuscitate the excavator. In response, Fred makes a humbling call to his banker, expands his line of credit, and goes on a shopping spree. He returns to Porcupine Creek with a new excavator and loader, allowing work to continue that same day. As I noted in “Repair Or Replace?,” one huge advantage of replacing broken equipment is the power of NOW. As Fred makes abundantly clear, with just the swipe of a credit card, you can be back to business ASAP. Even though repair might be cheaper when considered in isolation, the cost of lost time in this case would have been overwhelming. Advantage: replacement. Gearing up for Season 3, Todd Hoffman orders a brand-new state-of-the-art “Turbo Trommel” wash plant. Hoffman’s enthusiasm for the purchase is palpable: it’s the same look of euphoric consumerism you see when someone is bit by the “new car bug.” Unfortunately, the reality of the Turbo Trommel is a slow-motion disaster that nearly ruins the Hoffmans’ finances. For starters, manufacturing delays mean that the trommel is still being constructed well into the very short Klondike mining season. The delays persist for so long that Hoffman leaves his crew and travels to the manufacturer with Mitch Blaschke to help finish the job (Season 3, “Battle of the Bridge”). It was oddly satisfying to watch this because, in my work life, I’ve jokingly responded to manufacturing delays with “Would it help if I came over and turned a wrench?” Hoffman and Blaschke show up at the trommel-maker’s workshop and do exactly this. Did I mention that this new Turbo Trommel is “state-of-the-art”? If you’re an engineer, you may cringe because that’s often a synonym for “untested.” First, it’s discovered that the motor that turns the drum is underpowered: it overheats and needs replacing. Installing a more powerful engine involves more delays and modifications to the trommel’s frame. Then, the seals surrounding the drum’s edges begin to leak, sending gold out the side of the unit. At this point, Hoffman smartly calls it quits on the Turbo Trommel, choosing to focus all of his equipment and manpower on the other half of his operation that is actually producing gold. Before we become too invested in our armchair quarterback skills, let’s take a moment and applaud these greenhorn miners for giving it a shot. Whatever their mistakes, they are one up on all those who sit on the sidelines offering advice, unwilling to take similar risks. You have to strike a balance between preparation and doing, but err on the side of taking action because that imparts meaning to your knowledge. Given what’s at stake in the lives of the miners on Gold Rush, their learning is deeper than ours at home. For instance, the wisdom of Tony Beets’ admonishment to drill isn’t fully appreciated until you’ve wasted hundreds of thousands of dollars moving worthless dirt around. Successful troubleshooting also requires a balance of study and implementation. While my writing is great preparation, watching Gold Rush is a powerful reminder that it needs to be coupled with action. Learn by doing. Whatever is broke, try to fix it! I love this. Not just your article on the Gold Rush, but your whole philosophy of fixing things as much as possible. I farm in Africa so fixing equipment 6000 miles from a supply of spares is a daily (well OK weekly) occurrence. My next Amazon session I will definitely download your book.